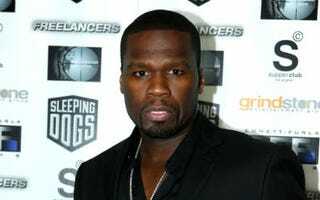 50 Cent partnering with African entrepreneurs: The rapper was recently in Kenya, where he visited schools in Kibera, Nairobi. He says he will choose a partner in every country in Africa to work closely with him on marketing and selling his SK Energy drink. Democratic-convention preview: Sure, the Republican National Convention is still under way, but if you're ready for the next big political event, The Village Celebration has a list of information on everything from DNC stats to how to apply for credentials. Is the left's "Africa gloom fetish" lifting? Slate's Michael Moran says it's finally happening. Tyler Perry's Atlanta studio catches fire again: The blaze, the cause of which is still undetermined, is the second in two months to hit the complex.